I think a perfect solution is if you already have a Matte Black or Jet Black 7 or 7+, just put a red dbrand skin and enjoy the black/red combination iPhone! MKBHD showed off one in his review and I must say, it looked great! Looked nice but I love my JB too much to cover it up. Kinda surprised at the hate for the white front. I may have a jet black now but I'm confident in saying I'll never own another black fronted iPhone again, I vastly prefer the white. libra89 and reeneebob like this. libra89 and nikkisharif like this. I like it, I think it looks good with the white front. I also think it would look good with a black front. I'm not thrilled by the idea of a red front, I think having the front white or black provides a good (and needed) contrast to the red back. I do agree with the poster that said it would be nice if Apple gave the choice of a white or black front. 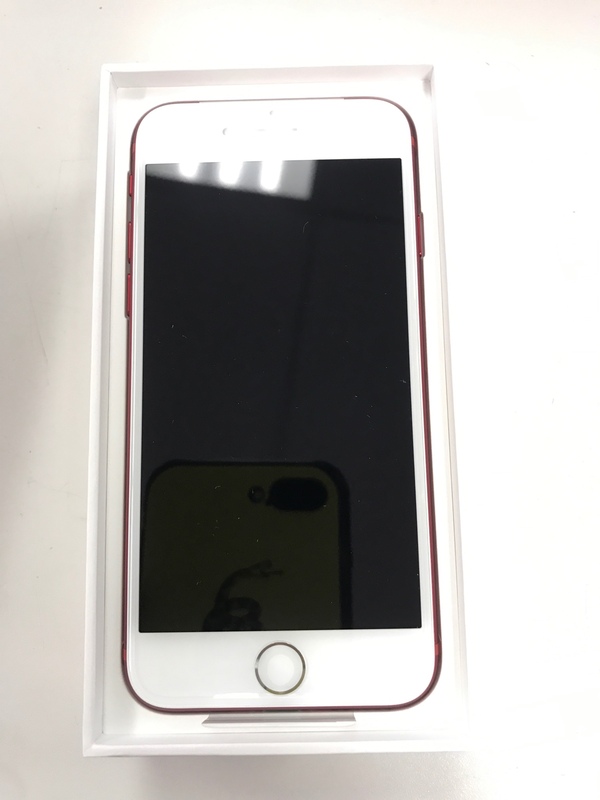 I'd be happy to trade in my current 7 Plus if I could just switch to the red, I'd even pay a modest upgrade fee, but I'm not willing to pay for a new iPhone just to get it in red. libra89, Spencerdl, nikkisharif and 2 others like this. I absolutely LOVE the red! I was disappointed to see that it has the white faceplate, though, and I just saw in the article Rene posted on the main page that it has the silver ring around the Home button?? I find that disappointing, too. Should have had the black faceplate and a red ring around the Home button, IMO. 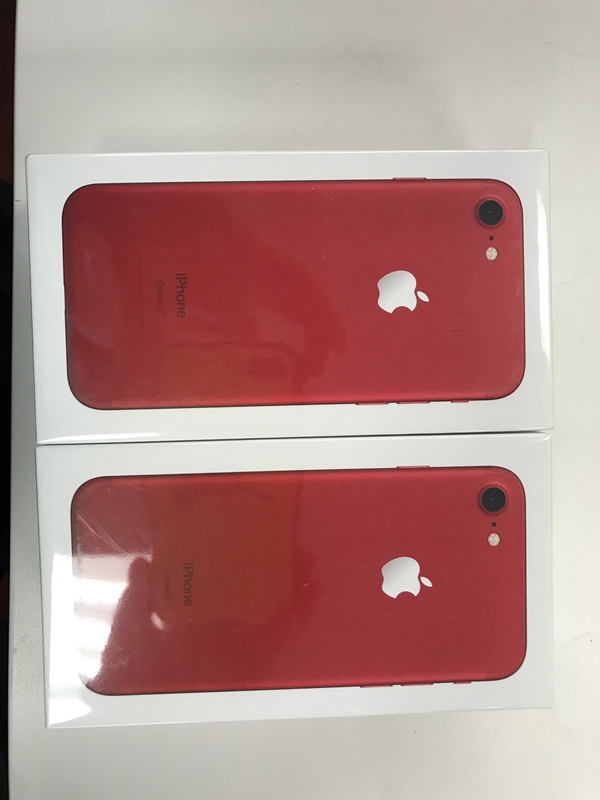 If the red iPhone 7 looked like that, I would absolutely consider it for my next iPhone purchase if I end up getting the 7 instead of the 8 or whatever it ends up being called. libra89, nikkisharif, Shanicenicolle and 1 others like this. Yeah, kinda wish the front was black and the ring was red. robertk328, metalchick719, Spencerdl and 1 others like this. Cool - thanks for posting the video. Looks awesome, and the red/white combo is nice! Apple just unveiled a new iPhone that will be available Friday 3/24....thoughts? A ton of my friends love the white. IMO, white hides prints better but black is sleeker. Plus the white doesn't stay crisp very long. It's still whit but you can definitely see the difference compared to new devices. I did white on my daily driver because I loved the gold but it'll never be on another daily driver. robertk328, Spencerdl and Premium1 like this. I like the white front a lot on this phone. Think it makes it look really clean plus to me a white front on an iPhone makes more sense because all of the UI is white. I understand the video/gaming argument but I don't get distracted by the bezels and honestly I don't consume many games or videos on my phone. I use my iPad or TV. blemoon42, libra89 and super_rigel like this. I can't see ever switching back... unless the back combo is different. I like the red so much. I have secretly pined after the (PRODUCT) Red iPod Touch, hoping apple would someday introduce an iPhone in (PRODUCT) Red. Now I have a problem, wait until the new iPhone to upgrade my 6S or go with the (PRODUCT) Red 7 now. I'm hoping that shiny white becomes a thing next iteration. That might be the only way I go back to a white iPhone. I'm not sure if I would or want to give up my Jet Black 7 Plus, but I'm curious if the Apple Store would allow the white front to be changed to a black front. The way screens are made, this is very much doable. Last edited by Spencerdl; 03-23-2017 at 10:11 AM. I say that now, but I'd probably drop kick it coming out of the Apple Store. Spencerdl, Shanicenicolle and libra89 like this. BreakingKayfabe, robertk328, libra89 and 2 others like this. Nice! The white is SHARP. reeneebob, libra89, super_rigel and 1 others like this. ladyc0524 and Danny8200 like this. Oh it's on. I don't think I'm turning back on this one. robertk328, nikkisharif and libra89 like this.